Javi, great fan of WarCry is asking for help. He tries to collect complete playset (3 copies of each card) for each set in the game. Full story explained here. Please leave a message or contact me and I will pass your details to Javi. Lot of cards added to store. Lot of rare and promotional cards added to store. Updated old and new promo card lists. 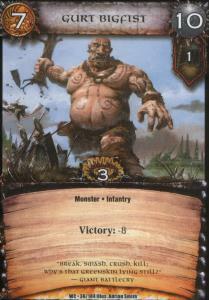 WarCry cards updated in store. 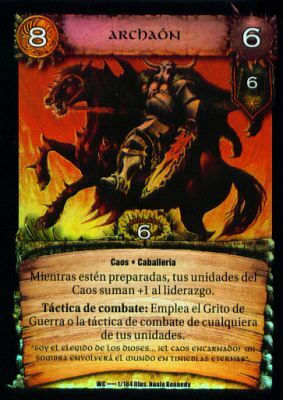 I got Spanish Base Set box, so I uploaded some scans and changed most card names to original. Overflow cards added to store. Card lists have been updated with German names in most sets. 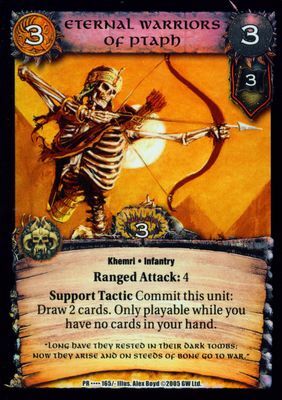 Cards from various sets added to store. 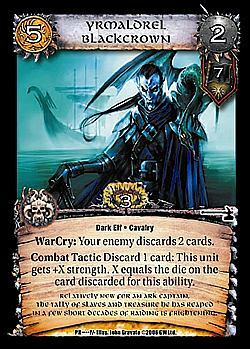 Cards from Winds of Magic, Siege of Darkness and Bearers of Redemption have been added. French card lists have been added.